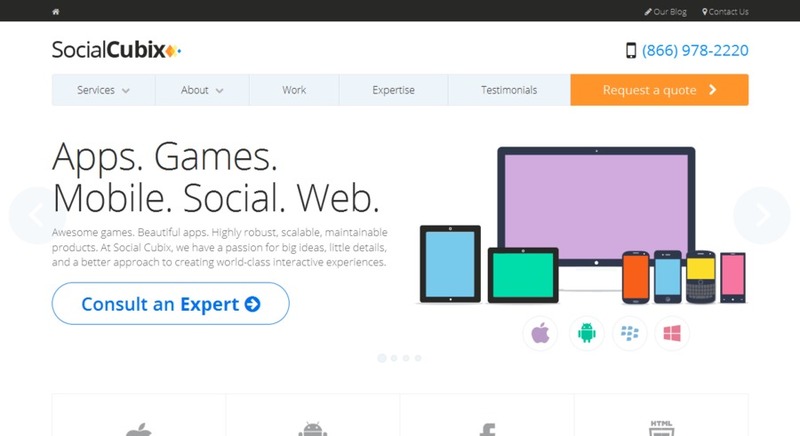 Sortfolio: Social Cubix, Washington D.c.
Social Cubix is a premier iOS, Android and web app and game developer out of Washington D.C. This is a screenshot from our latest homepage design. Like what you see? Get in touch with Social Cubix, Web Design from Washington D.c.